The London General was formed in 1856 by the purchase of several independent horse-bus concerns and the early steam and electric motor buses were based on the horse bus. The General’s motor bus operation began in 1905 as did the Road Car Company with strong competition from the London Motor Omnibus Co. under the name ‘Vanguard’. The ‘General’ standardised on petrol and from 1909 produced their own buses at Walthamstow, the most famous being the B-type of which 2,900 were built becoming the worlds first major standardised fleet. 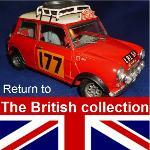 Built from the original Series 4 Airfix kit around 1960. 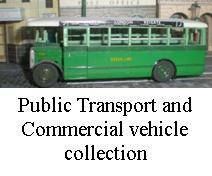 It was painted with brush applied enamel paints and still carries the original paint, decals and signs. Only minor restoration has been under taken. One of the recuring problems faced by Rod is accepting that while he could undoubtably make a much better model with todays materials and tools, as well as so much more experience, his old models stand testiment to the kit technology of the model kits and tools of the c.1960, as well as Rod's skill level at that time.